New Super Mario Bros.2 will launch on Nintendo 3DS on August 19th in North America. The latest footage of the game showed Mario raking in the gold coins showing off golden power-ups that can be used to earn more coins in each level. 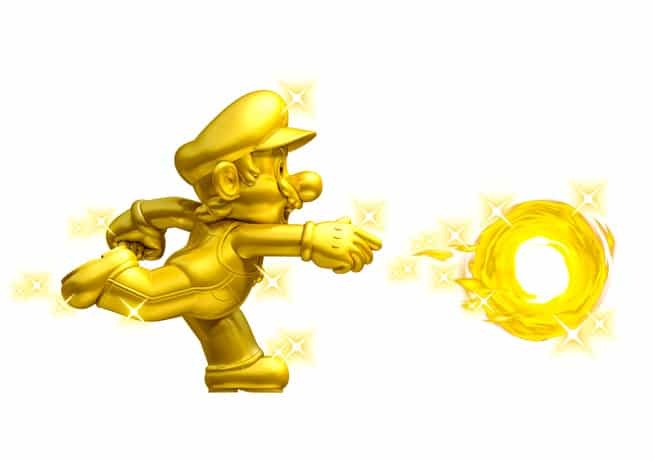 For example, a Gold Flower gives Mario the ability to turn almost anything into gold coins. The game will also be available to download from the Nintendo eShop at launch.